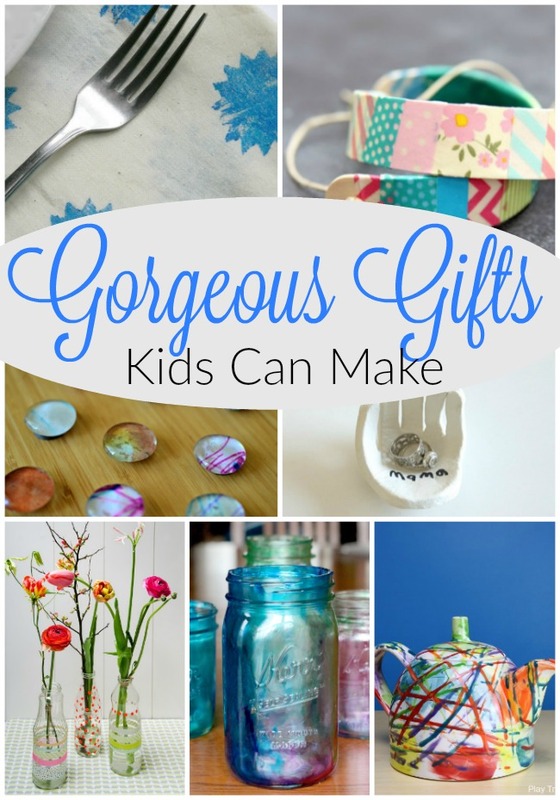 This craft is dedicated to anyone who decided to craft with multiple young children – the bravest among the brave. Here is a simple paper plate Christmas craft for kids that will allow you to maintain your sanity — I promise! When I taught Kindergarten this craft I would do with all of my students at the same time. And at home, I did it with a preschooler and baby without even breaking a sweat. Best of all, this cute paper plate Christmas craft for kids can be adjusted so you can use whatever you have on hand – and you can add in tons of learning too! I find sometimes it is the simplest of simple activities that are the best. For adults and wee ones! Sammy took to this craft like a magnet – and has so far made 10 paper plate Christmas ornaments (our tree looks splendid!). Reminds me of how he took to our Halloween ghosts … and these ghosts too. 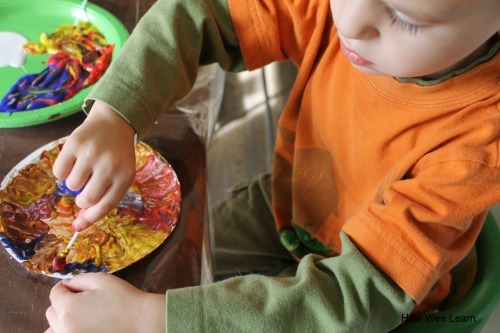 The process is fun and creative for kids – they simply decorate the paper plate! Depending on what you would like to get from the craft you could introduce patterns, different textures or techniques for painting, letters, or numbers. I simply gave Sammy some paint and a Q-tip for painting. I like him using a Q-tip because it is really helping with his fine motor skills and pencil grip. It also prevents a lot of mess, because the Q-tip only holds a little paint! 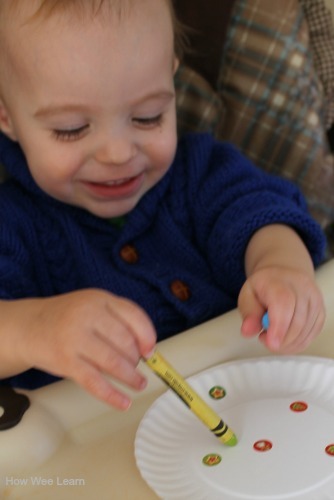 For Benjamin, who just turned one, we practiced using stickers and stuck them on to the paper plate. Ben loves being a part of crafts! I also gave him some crayons to practice making marks on the Christmas ornament. He is still about 90% eating the crayons, so it didn’t last too long! Then I got out some apple sauce and he did some finger painting (and tasting) using a Q-tip just like Sammy. When the paper plate Christmas ornaments were dry I poked two holes in the top and Sammy and I thread pipe cleaners through so they could hang on our Christmas tree. 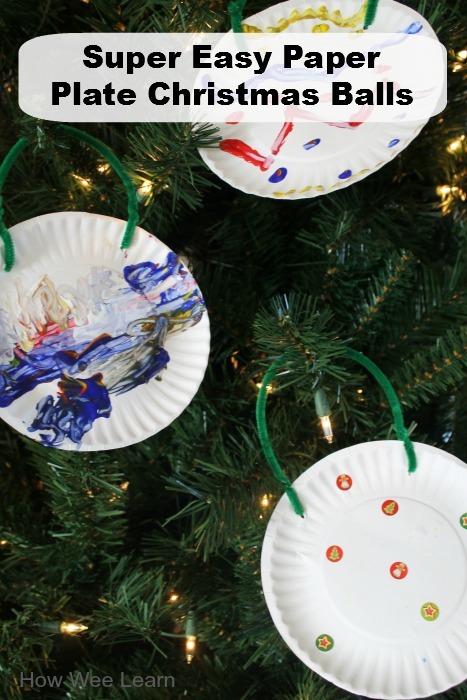 This paper plate Christmas craft for kids is great for all ages. 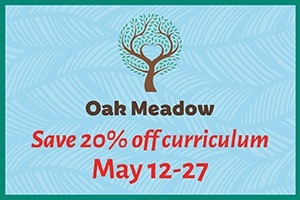 Older kids can add details or make complex pictures or patterns and younger kids can decorate any way they choose. 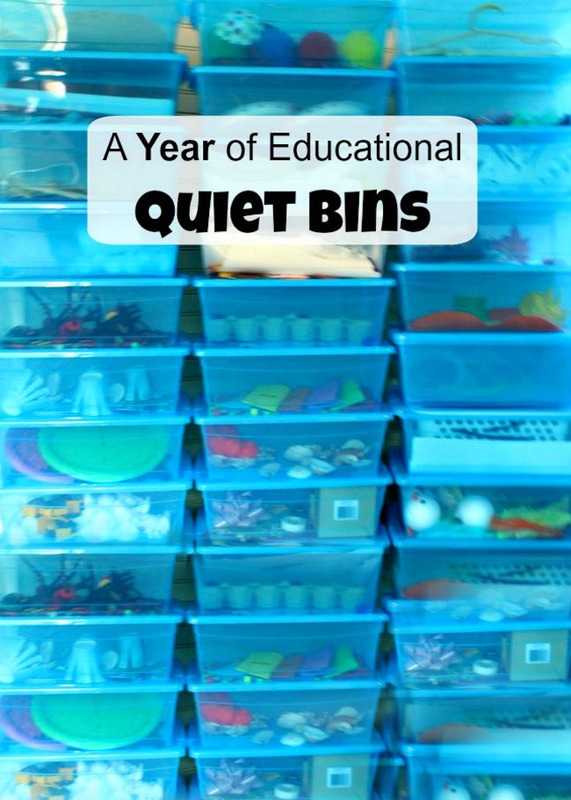 It’s a great open ended Christmas activity! love a simple craft! The kids do too!